I have an abiding passion for trails. I love to run them. I love to hike them. I love to study maps of them. You name it, if it’s trail related, I want to be a part of it. Thinking about this recently, it occurred to me that there must surely be other trail running fanatics in the RunKeeper user community. 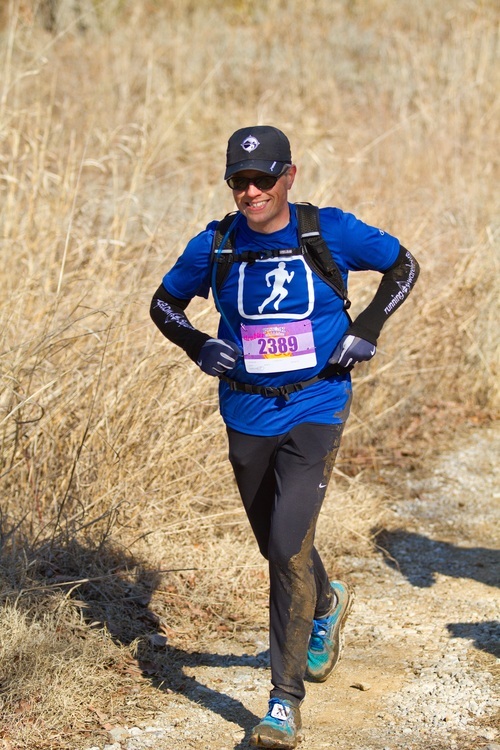 Et voila, a new trail running blog column was born! It started for me in 2009. I had decided to join some family on a Colorado hunting and hiking trip in the early fall. As part of getting ready for that trip, I took a hard look at my fitness. I didn’t like what I saw. I was fifty pounds overweight. I knew I needed to make some changes to both my diet and my level of physical activity. For diet, that led to colorful veggies and Greek yogurt, along with fewer desserts and seconds. For exercise, I settled on running. Prior to this, I’d always hated running. Well, distance running, anyway. I loved baseball, but that only involved short sprints. And I’d had a long term on-again, off-again love affair with cycling, but never far or fast enough to give me any serious aches and pains. For me, running was the punishment given out by other sports. But then I came across a plan from a gentleman named Cameron Hanes (Cam on Facebook) which helped me ease into running thirty minutes at a time, three or four times per week. Cam outlined walking ten minutes, running five, then repeating both each outing for the first two weeks. Then his plan built up gradually over eight weeks to one hour per run, most of it running instead of walking. Having a plan with specific, measurable “baby steps” made fitness achievable for me. I followed the Hanes plan, ran my first 5k race, and actually enjoyed it. I ran another, and shaved off a pretty good chunk of time. Then I went on the Colorado trip and found myself much fitter and happier hiking at altitude than I’d ever been before. I felt the benefits of the last couple of months of running. That’s when I made the decision to train for a 10k trail race, and from that came several half and full marathons along with all the trail time I can squeeze in. Trail running has helped me to lose and keep the fifty pounds off. Now I can’t imagine going more than a day or two without running. I’m always on the lookout for 25k trail races (my current favorite distance). And I want to share my passion for fitness and especially trail running with everyone I can! In future installments, I’d like to focus upon trail topics dear to me including trail running resources, racing, upping mileage over time, and ever lighter shoes. Please let me know what you’d like me to cover, too, in the comments below. Thanks, and see you on the trails! Cross-posted from the RunKeeper blog.